Spring is all about new beginnings, both on the lawns and off. From blooming flowers to budding seeds, spring is a period of growth and refinement, bringing joy and a splash of colour to properties across the Ottawa region from late March to June. By overseeding in spring, your lawn gets a youthful upgrade and you get a jolt of youthful energy as you watch it grow and thrive before your very eyes. Younger plants can spread and fill in where the older plants are stretched thin, the circle of life in motion. When an older plant dies, a younger one is there to take its place without you even noticing. A patchy lawn leaves room for undesirables to take root so don’t wait until your lawn is full of weeds to take action. 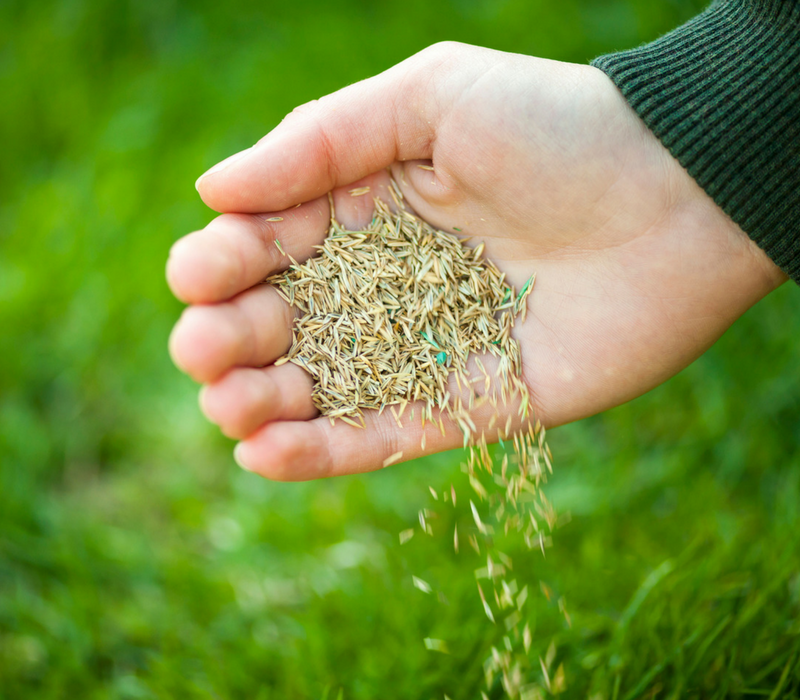 What questions should you ask before buying grass seed? How do you choose a grass seed type? And how do you know it's the right one? Read on to find out! 1. What kind of traffic do you need your lawn to withstand? What is your lawn used for? Is your lawn mostly landscaping or for aesthetics? Do you have a young family needing a play area? Will your lawn need to withstand pet use? Different types of grasses can handle traffic to varying degrees. It’s important to know the answers to these basic questions before buying seed. 2. Will your lawn receive full sun or partial shade or full shade? Just like you buy plants that like different amounts of sun and shade, these same considerations apply to your grass seed purchase. Some grass varieties will grow anywhere, some are designed for shade, some for sun. Some can grow well in wet soil, others need drier conditions. These answers will influence the kind of grass you buy. 3. Do you want one kind of grass or is a variety of grass types OK? Is colour or blade type important to you? Many commercial grass seed contains a variety of grasses to create a blanket of green to handle a variety of conditions. Know that you’ll get what you pay for. Many discount varieties of seed contain poor seed that might not perform or germinate as you’d expect. 4. Know what your budget is both money-wise and time-wise. Some types of grass seed require more maintenance and others are happier if left alone. Some varieties of grass require more water than others (and therefore more maintenance). If you take the time to answer these questions ahead of time, you’ll be happier with the end result because you’ll not only have a lawn that performs well in your yard, you’ll have a space that meets your needs and become a well-spent investment of your money and time. Take advantage of a free consultation from the lawn experts at Nutri-Lawn Ottawa so you can take back your yard and your weekend this spring!